The Maccabees Update is part of a long tradition Google prefers to deny. The cat-and-mouse-game follows a certain dramaturgy: SEO Analysts observe ups and downs in rankings and assume a recent update of Google’s algorithm structure. Google itself appeases ups and downs and rejects any rumours of a recent update. This is how the relationship between Google and SEO Analysts has been for years. The reason for this is very simple: Both sides focus on the same (Search Engine Result Pages, also known as SERPS), but do so from different angles. Google by now applies 1000 to 1500 updates on a yearly basis. Usually, this only causes minimal changes in SERPs. 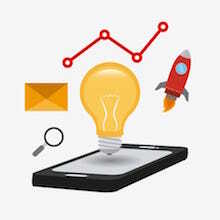 Since the application of the Hummingbird algorithm with its focus on a semantic and holistic search (between 2013 and 2015) Google particularly publishes smaller updates. The reason is quite obvious: Neither users nor most webmasters will get nervous. 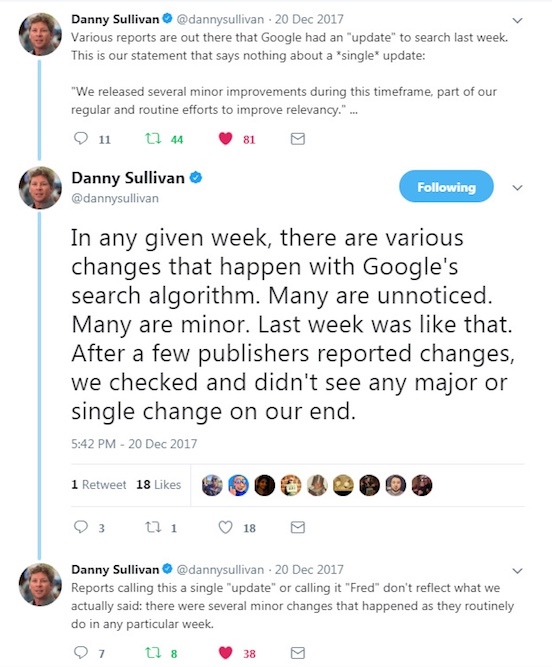 The tactic of applying smaller updates is Google’s reaction to its experiences with huge updates in former years (around 2015). Especially large penalty updates</strong< like Pinguin and Panda had massive impacts on the visibility of webpages and even crashed them causing the death of many smaller businesses. 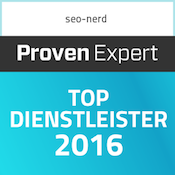 SEO Analysts consider themselves to be the lawyers of webmasters. They have a strong interest in the methods websites use to rank. The predominent opinion with SEO experts is that they need to be the ones to know because Google holds back core information about this. Okay, there is the Google Webmaster Guidelines Paper. But even here you will only find very shallow rules about what webmasters should do or not. Google wriggles for an answer when it comes to what is essential for a page to be ranked. To find out nevertheless, SEO Analysts constantly trawl SERPs to find saliences. Doing so, they will ideally come to a conclusion which measures rank webpages successfully in the SERPs (and which not). We need to regard the Maccabees Update with this in mind. On December 12th of 2017, SEO Analysts tracked noticeable ups and downs in SERPs. Analysts monitored a loss of 20 to 30 percent, especially for organic traffic. The ups and downs were still trackable on December 13th and 14th. On his website Search Engine Roundtable, Barry Schwartz named the update “Maccabees” according to the Jewish Holidays of Chanukka being celebrated on those days. A short glimpse into the background of the name: The successful Maccabean Revolt, lasting from 167 to 160 B.C. enabled the ritual cleansing of the Second Temple in Jerusalem and established the place for Jewish worship. The Holidays of Chanukka celebrate this part of Jewish history. Not before the 20th of December 2017 Google gave news about the update, appeasingly as usual. 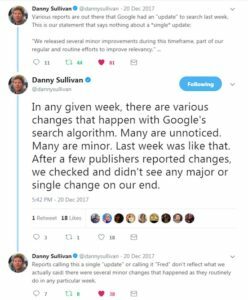 Google’s Search Engine Consultant Danny Sullivan rather announced “some usual changes due to routine”. He did not confirm an update which is why there is no official name for it. The usual guessing game: What effects does the Maccabees Update have? Thesis 1: The Maccabees Update is part of the Mobile First Strategy. The thesis was discarded very soon when it was discovered that also pages which have already been optimized for mobile devices dropped in rankings. Thesis 2: Maccabees affected the visibility on desktop searches in a higher rate than on mobile devices . A very interesting thesis, but discarded too according to a significant lack of evidence. Thesis 3: It is a seasonal update connected with the upcoming Christmas time. The thesis was tempting but could not answer the question what this exactly intended. So this track was closed very soon too. Thesis 4: The update has something to do with links. This is a classic when talking about Google’s updates. There are a lot of good examples to prove this thesis with Google proceeding against aggressive link strategies by now. Still, it does not fit in the bigger picture of all abnormalities of the Maccabees Update combined. typical symptons of the Fred Update. a very noticeable pattern according to which pages are affected that only exist to vary keywords. to contain content that is old, inferior, or simply too poor to serve the user’s search intent. to not offer other services than paid affiliate links to other shops. Since the first rollout in March 2017 SEO-Analysts could track several smaller follow-ups of the Fred Update. As webpages with very few relevant content fell victim to the update it is widely considered to be a Quality Update. The Maccabees Update can be queued with this category. No landingpages with keyword variants, please! One of the favorite SEO strategies so far is building singular landingpages for keyword variants. With the Maccabees Update Google obviously put a stop to this strategy. 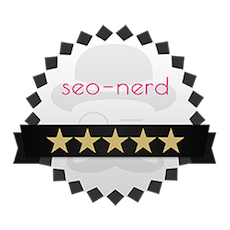 The idea behind this strategy is spammy indeed: SEOs not only want to rank with one keyword but also with all its variants. Keyword= SERVICE + Keyword-Variant= NAME OF CITY. The service is the exact same in every city, so the page’s content only varies in the name of the city. As Google attempts to take the view of the user and aims to deliver relevant search results, the strategy for landingpages with keyword variants is unnecessary and even annoying. According to Google, only search results matching the search intent should be displayed to users. Therefore it is perfectly appropriate to explain the SERVICE once, but really good and with only as many words as necessary. Explaining the SERVICE again and again on different subpages creates a confusion for Google: Which page should rank in SERPs? The Maccabees Update has an answer to that: NONE. Mid- and Long-Tail keywords will get more and more interesting for SEO competition. Voice Search with tools like Alexa, Cortana, and Siri is the reason for this. In oral form words tend to be longer. 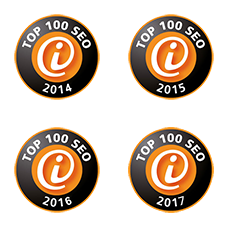 Webmasters who incorporate this major change will have the best chances to dominate rankings in the future. Still, not every single Mid-Tail oder Long-Tail keyword needs to be featured on separate subpages. The better strategy would be to think around a topic. Connected to the example, this means to write one page for the SERVICE and mention the cities the SERVICE is also available. 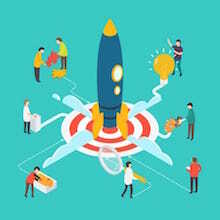 It still can be appropriate to produce several different landingpages if the services vary from city to city in a way that service variation is really given. This can be also applied for products or product categories. The basic information for users is already given with explaining the product adequately on just one page. It is not necessary to copy the text for several different target groups with the intention to serve the keyword PRODUCT + TARGET GROUP. Dominic Woodman presented an analysis on MOZ which comes to a very similar conclusion. He not only limits the effects of the update for pages that only use keyword variations to rank. He also sees an impact on pages dealing with a topic that has been widely covered with another article. Woodmann is not taking a counter position to Schwartz, but extends his thesis with another aspect. The main attempt of this strategy is to rank pages higher that contain relevant content for search queries. At the same time other pages that obviously only want to attract user’s attention with keyword tactics are pushed to the bottom. When your texts succeed in describing your services and products well and also manage to answer customer’s questions you do not need to worry about the Maccabees Update. Even better, you do not need to worry about upcoming Quality Updates, because you are obviously already on the right track. 3. 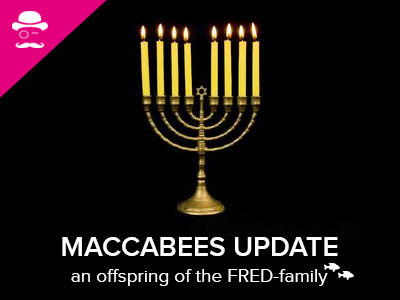 The usual guessing game: What effects does the Maccabees Update have? 6. No landingpages with keyword variants, please!